I sortet the levels by date. So at first come the levels of the Bronko-Levelpack! I created my first level directly after the release of the level editor. 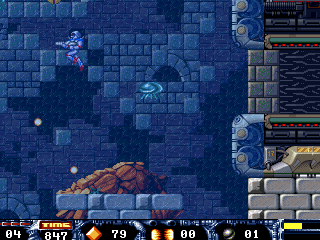 As a fan of Turrican, AND editors I was really happy. It was self-evident for my to use level1 tiles at first. I learnt, this was the worst choice, a beginner could make. It's quite heavy to place those earthtiles together in a correct way. 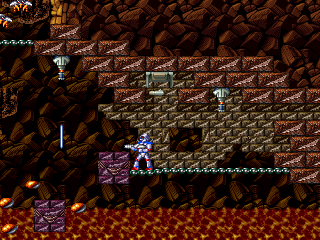 I realized, that even in the original Turrican games there are some failures with that tiles! 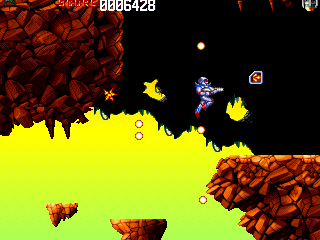 Level1 is quite easy to play and turricanlike. 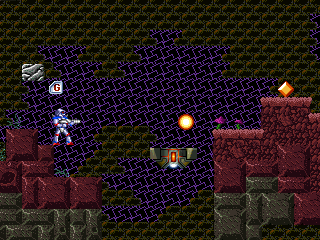 This is the first level with my today's standard concept: Different level parts with other things to see. 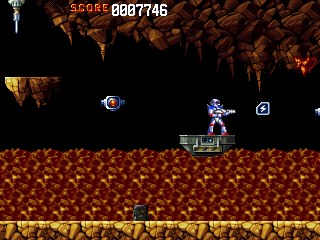 Cool, a powerup filled cave.... whaaah! A nest of wasps! Laser, surround, and diamonds, yay! Survived the waterfall? Well done. 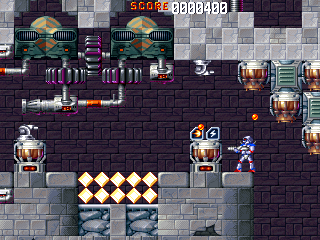 Then welcome to the factory, my first bigger level. Sadly the level contains my first attempts to make pixelgrafics... The pipes are ok, but those giant blocks are crap. Small feature, enter the level by lift. Level2 was the first one, I created. At first, I planed it to be the 5th level of the bronkopack. 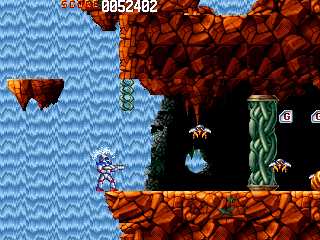 This level should become, and is, a dungeon like Turrican2's Lv. 2-2. Because the first level I made for "Underearth" was so damned hard, I declared it as level2, and made this one to level1. The atmosphere was built arround the music. 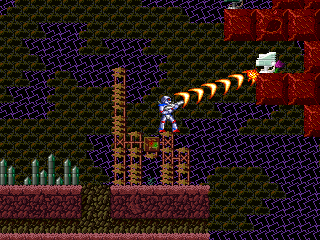 I'm happy, that this level really isn't too hard. Click the picture to close!